Canadian Sphagnum Peat Moss is regarded by both professional growers and experienced retail consumers as an optimal soil conditioner. Sphagnum Peat Moss is a partially decomposed Sphagnum species, whose unique cellular structure consists of large cavities that absorb air and water like a sponge (Peat Moss can hold many times its weight in water). Because the right balance of air and water is essential for root development and plant growth, organic sphagnum peat moss is considered the highest quality growing medium available. Manitoba Sphagnum Peat Moss is regarded by a majority of Western Region Growers as simply the best growing media available due to its fibrous nature, light color, high porosity and water holding capacity, low pH and bulk density. 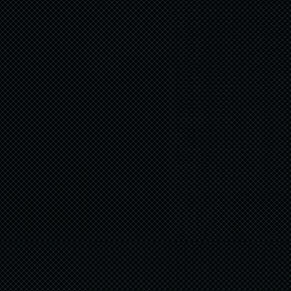 Professional Growers, Mushroom and Forestry/Seedling grades are produced. 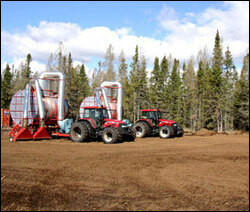 Sunterra bogs are vast acreages located in Manitoba Peat lands and represent many years of peat reserves. Sunterra has selected these bogs for development and harvest based on a careful review of engineering reports and numerous core samples. 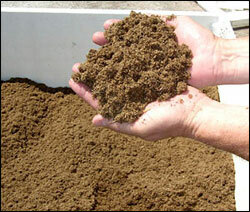 Core samples were analyzed to identify premium sphagnum peat moss suitable for the professional Horticulture grower. Brush, pile and burn or push-off the overburden. Dig necessary perimeter ditches, settling ponds and drainage take-off runs. Install field ditches on 100' spacing. Once the water table is drawn down, the peat surface is prepared for harvest by removing roots, stumps and embedded logs from the uppermost layer of peat. Then the remaining peat area between the drainage ditches is harrowed up, leaving a crown or ridge of loose peat to dry in the sun, before being harvested. When the surface loose peat has dried to the desired moisture content, it is collected by large vacuum harvesters and either stockpiled in the field, or hauled directly to the processing plant or to an adjacent dry storage area. 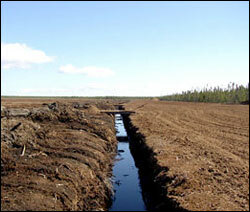 Areas where loose peat have been vacuumed are immediately turned over by a spoon harrow, to a depth or 2 to 3 centimeters, and the process of creating new ridges of loose peat to dry is repeated. Typically, over the course of the summer harvest, a layer from 6 to 10 cm, will be extracted from the bogs. Also, typically there are between 45 - 55 days per season suitable for harvest operations. uncompressed or 4.74 cubic yards. The bales are then palletized, stacked and stored in a warehouse area. In preparation for shipping, pallets are loaded, 24 per load on covered shipping trailers and delivered by rail and or roadways. The most important aspect of Quality Control is communication with customers to ensure that the quality process is continually improving. FLORICULTURE - "PREMIUM PEAT... SPONGY"
Forestry - "Wets up easily, holds water, sticks not a problem"
Mushroom - "Clean . . . 20% more pinning!" Every precaution is taken to ensure minimal impact on the environment. Research carried out on bog harvesting operations indicate that the water quality from the bogs meet strict standards imposed by several licensing bodies including the Environment, Water Resources, Mines and Natural Resources. Care is taken to hold bog drainage water in settling ponds. This water is routinely tested and must meet standards before being released into water courses. Water quality, siltation and flow rates are some of the factors taken into account. Site reclamation plans have been made with a goal to return bogs to functioning peat land capable of supporting sphagnum and lichen growth. 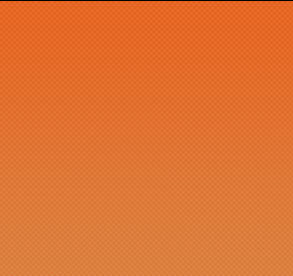 Sunterra and our distribution network are committed to quality and service. As the primary distributor of Sunterra Peat Moss, and a large consumer of quality peat moss as a component of soil mixes, West Creek Farms performs extensive quality testing in their lab in Fort Langley, British Columbia. and is capable of analyzing pH, electrical conductivity, particle size distribution, stick content, airspace at container capacity and readily available water content. West Creek Farms also runs annual weed germination trials at a local grower's greenhouse. Samples for pathogen screening and full chemical analysis are sent out to independent labs.